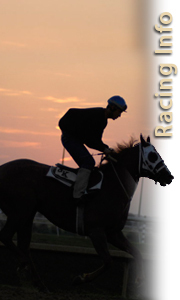 To promote the racing of 3-year-old Paint and Appaloosa Horses. These rules and regulations define the terms and conditions under which persons and horses may participate in the APHA Masterpiece Challenge program. Qualifier Guidelines—The winners of the qualifying races will receive an invitation to participate in the APHA Masterpiece Challenge race. If the winner of any of the qualifying races is not enrolled in this program or has previously qualified, the invitation would be extended to the next highest enrolled finisher. A substitute race could be inserted in the event that any of the qualifying races do not run. If a 3-year-old and Up stakes race is used as a qualifying race, only the enrolled 3-year-olds would be eligible to receive the invitation to the Masterpiece Challenge race. Entry Eligibilities—If any participant does not accept or declines the invitation, the invitation will be extended to the next highest enrolled finisher of that particular race. Acceptance of the Invitation—A $200 payment (to be included in the purse) must be paid no later than 30 days prior to the running of the APHA Masterpiece Challenge race. Race Location—The APHA Masterpiece Challenge Race will be held at Lone Star Park Race Track and the distance of the race will be 400 yards. All interest and other income earned by the program shall be added back to the program. APHA may deduct the accumulated cost of administering/ advertising the program from the gross proceeds of the enrollments, not to exceed ten percent.